As college admissions become more competitive, can any high school students really afford to be well-rounded anymore? Admission rates are sinking lower at many major universities. 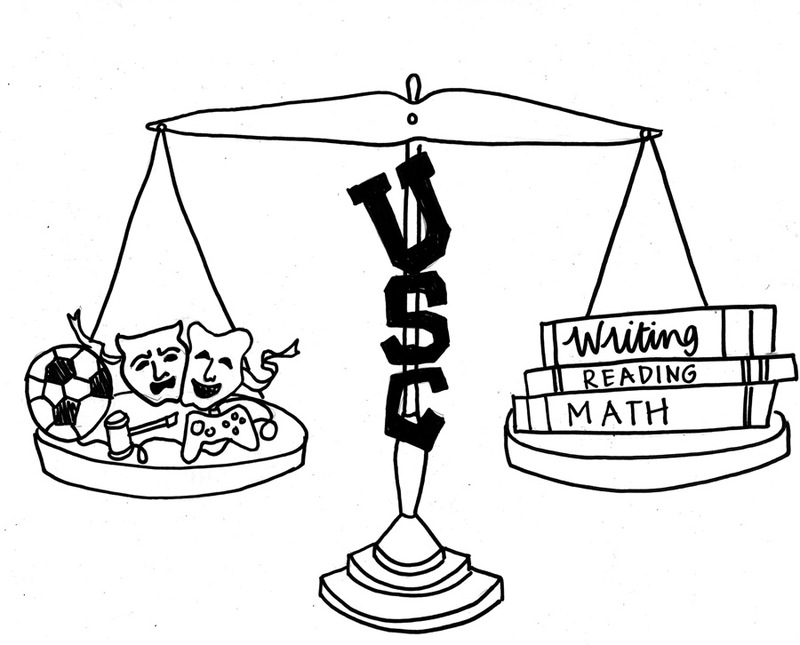 USC’s undergraduate admission rate dropped 4 percentage points this year. As the number of applicants grows, more and more applicants look for ways to differentiate themselves from the masses. Faced with these odds, many parents hire college counselors and force their children to commit to countless extracurricular activities and to achieve perfect GPAs. But by exerting pressure to succeed in and outside of school, the college admissions process impedes the development of healthy, well-rounded human beings — the kind of students they supposedly seek. In a recent email sent out to USC Ambassadors, President C. L. Max Nikias touted some of the amazing statistics of USC’s incoming freshman class. 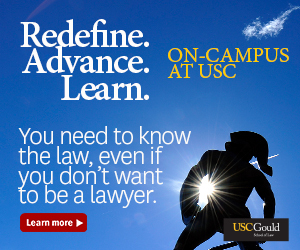 USC received around 45,000 applications for 2,600 spots. In addition to these “Caltech-caliber” students, USC also admits many amazing creative and performing arts students. 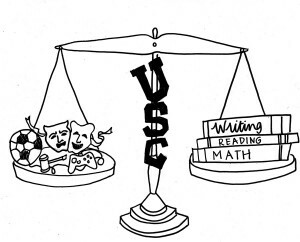 But is there a place at USC — or even an admissions spot — for a person who is truly well-rounded? Amazing artistic talent and a perfect GPA seem to be two tickets into USC, but most people don’t have either. This fact alone doesn’t make them any less deserving of a USC education. This marked increase in high school recruiting only feeds into the hyper-competitive nature of college admissions. To stop feeding this trend, colleges need to move away from using strict standards like SAT scores and move to looking at candidates on a case-by-case basis. Obviously, looking at candidates more holistically would require a lot more work than most colleges currently put into potential applicants; most likely, many applicants are automatically eliminated because of factors such as lower SAT scores. But the SAT is a test that only measures one type of intelligence: reasoning. Another type of test needs to be developed that can measure more creative aptitudes. 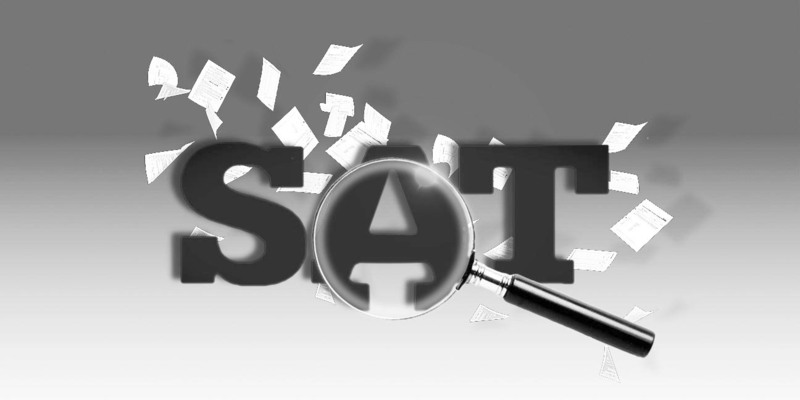 If a perfect SAT score is a ticket into college, students will obviously work toward it. A student might then neglect skills in other areas to better prepare for this test. Are these the kinds of students we want to be creating? A well-rounded person might be good at many things, but not amazing at any one thing. This person might be a great human being without the ability to get a perfect SAT score. And the SAT certainly doesn’t measure qualities such as honesty and maturity. Nikias is extremely proud of our university and our students, and he should be. 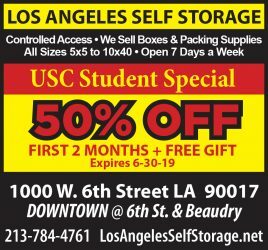 USC is an amazing school. But couldn’t Nikias, who has spearheaded so many other changes at USC, encourage admissions to begin shifting away from hard numbers and more toward admitting good human beings? It’s definitely hard to evaluate character by looking at a college application. Nevertheless, colleges need to measure more than just reading comprehension and math. Nikias should lead the charge on a shift toward admitting well-rounded people, not just “Caltech-caliber” students. Sorry Mr. Hughes, sounds like sour grapes. 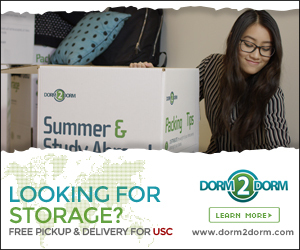 USC isn’t desperate by “scooping up” students who aren’t academically competitive. “Well rounded” sounds like the sympathy card for students with lower stats. SC needs more “Caltech caliber” students so to shed SC’s past image of “party school,” or, just a “football school but not academics” as our neighbors across town put it…after a 50-0 drubbing.